Lancewood is a website design and management service, based in Victoria and operating since 2003. Every website is optimised for speed and crystal-clear communication. We create logos and graphics, bring out the best in your images, and offer professional copywriting and editing services. We handle domain names, site hosting and security, and your first consultation is free. Lancewood makes websites easy. A novel of secrets, mateship and betrayal, set in Prom Country and the Pacific. Mike Whalen trained as a commando at rugged Wilsons Prom and fought against the Japanese in Timor in 1942. When his friend Johnny died in the war it left Mike with a burden of secrets. Now in his sixties and more damaged than he realises, when Mike is drawn back into the life of Johnny's family his past threatens to overwhelm him. 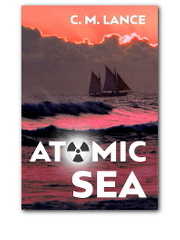 Atomic Sea is a contemporary thriller. 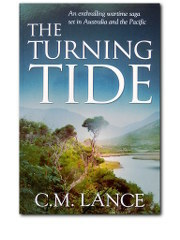 Some characters appear earlier in The Turning Tide. First came Chernobyl, the nuclear power station that contaminated most of Europe. Then Fukushima, pounded into radioactive rubble by a tsunami. And now ... Broome? In northwest Australia a nuclear-waste plant is opening. A boat with a glowing cargo is adrift. A cyclone called Cyril is about to hit. And everyone is lying. 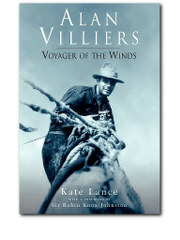 Australian journalist Alan Villiers sailed on the great four-masted windjammers between the wars. This biography explores the complex man who sailed with Arab traders, commanded WWII landing ships, and inspired modern sail-training schemes. 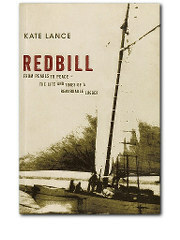 Redbill is the true story of a wooden boat's voyage through a century of history, from pearling in Broome to a naval commision in the Pacific War, from Greenpeace actions to a devastating cyclone.